Winging a walk through Kensington Market for dinner, we stumbled upon a stack of over-sized coins chained outside of a store, amused, we lit up our eyes to The Burgernator. 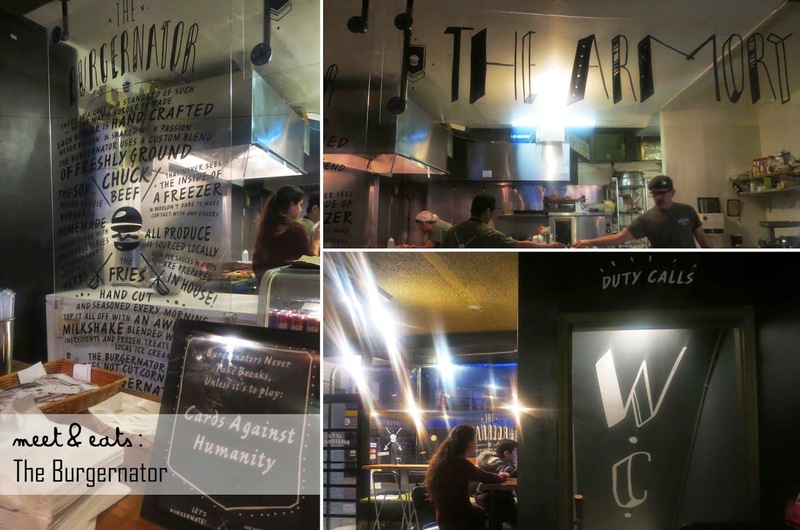 The Burgernator isn't your ordinary Burger Shoppe, this place screams personality, you need to walk in and check it out for yourself. 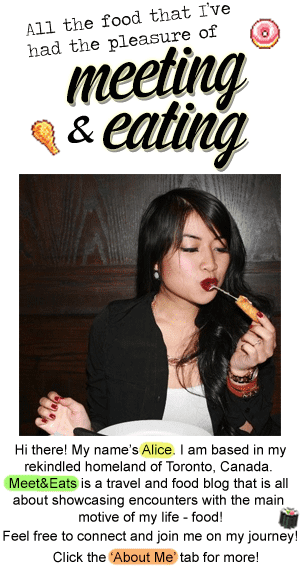 The sound of sizzling as their in-house fresh-grinded meat patties are grilled on their flat-top, it feels like an intimate few minutes until your number is called. Since their sauces and fries are also made in-house, I made sure to make an order of their Rocket Fries, it is allll about that. Way too thick and very bland in 'Salted Caramel' flavour for me - I didn't enjoy it too much. 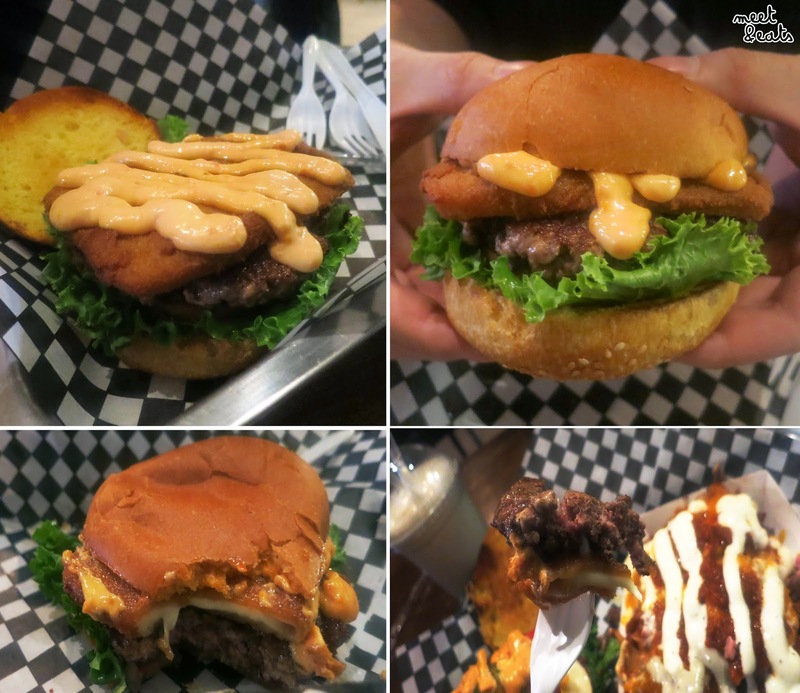 A Deep-fried Slice of Cheese in a burger???! Now, this one is a must! That crispy and melted slice was definitely a treat, and with that juicy 8oz Lean Beef Patty and Soft Egg Bun, it just took the whole burger for a homerun. All the components in this were absolutely perfect, such a nice helping of Sundried Tomato Aioli Sauce. I felt pretty healthy with this one, especially with the flavours of the fresh Mango Salsa. Super lean, light and went down well. The toppings were again, perfect! And a Lamb Patty as juicy as ever. I didn't feel at all like I should have after a 'burger'. 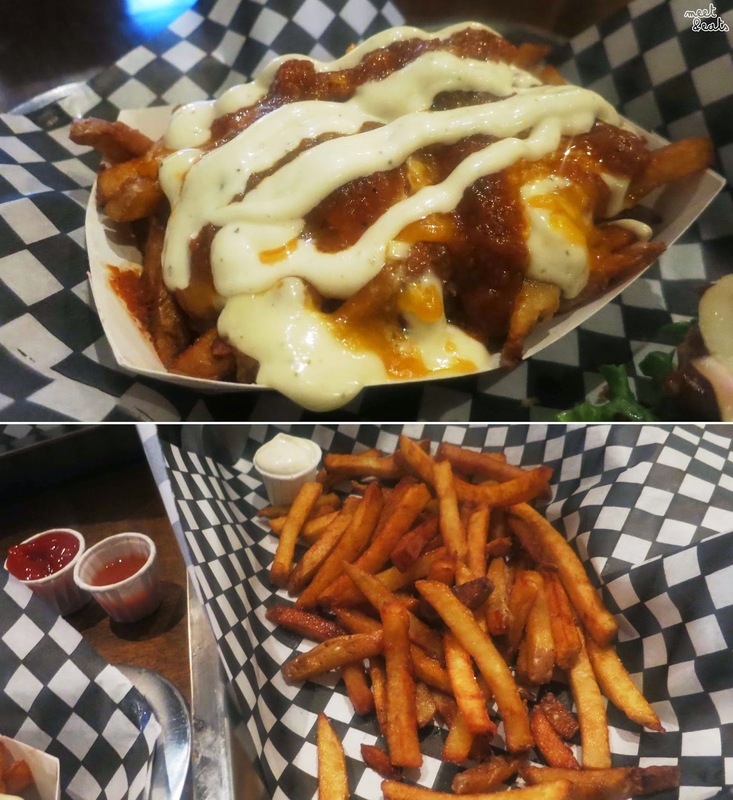 The Rocket Fries are the best non-traditional poutine, ever. These were pretty bloody amazing. 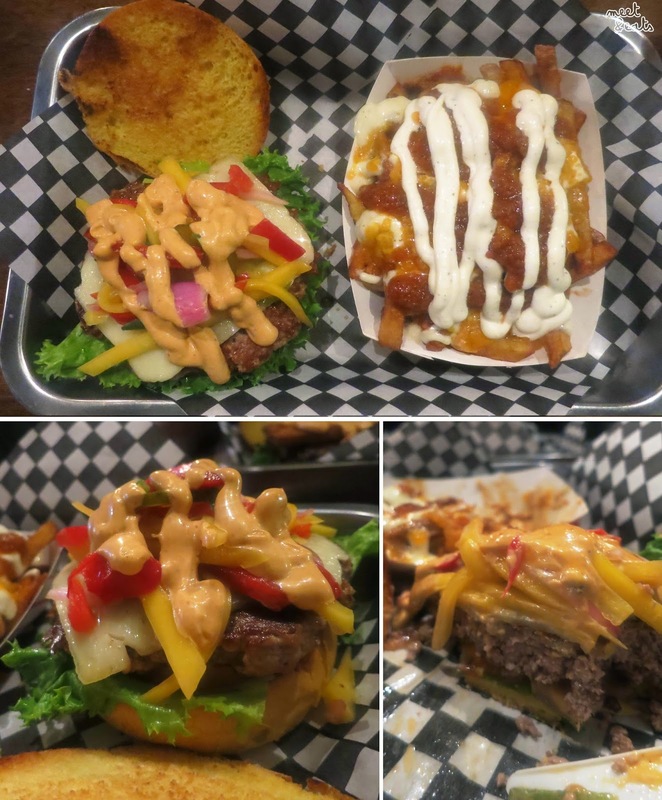 The in-housemade Jerk and Cheddar Cheese Sauces were phenomenal, especially with the thick and gooey cheese providing the perfect bite in between. Of course, the Rocket Fries were much more exciting than these regular undressed Home-cut Fries - they sure were tasty, but shortly felt like a chore to chow down. Definitely pricey for what you would imagine to pay for a regular ol' Burger and Fries, but this isn't your standard lot. 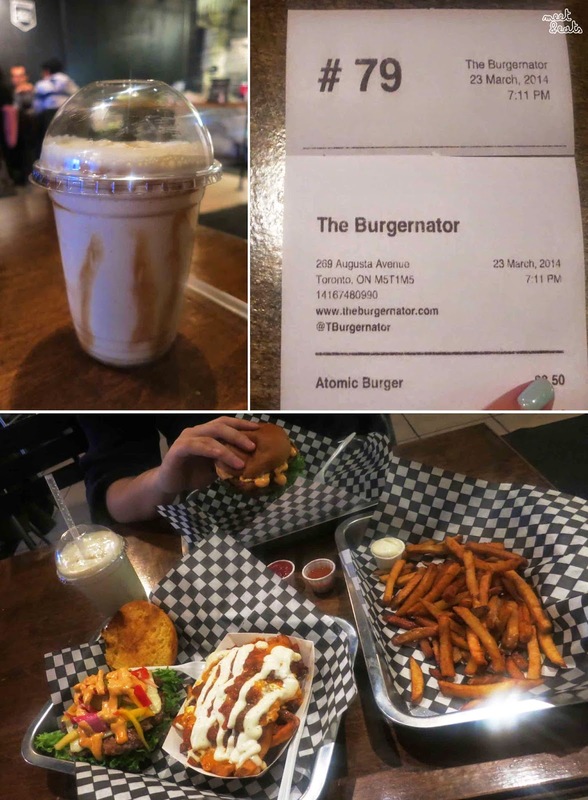 I'm also not keen on going for burger-runs on a regular, especially since this city has also absolutely overwhelms me with all of it's options, but, The Burgernator is one that you have to try!